Hey, did you know Easter is right around the corner? This year, it falls on Sunday, April 21st. And, I don't know about you, but I always find it joyful to dig into the Bible and see what it has to say about the Resurrection. I mean, after all, this is HUGE. This is such an awesome part of Christianity. It brings hope. It brings encouragement. It brings faith. It brings life. It brings freedom. And, it brings celebration. 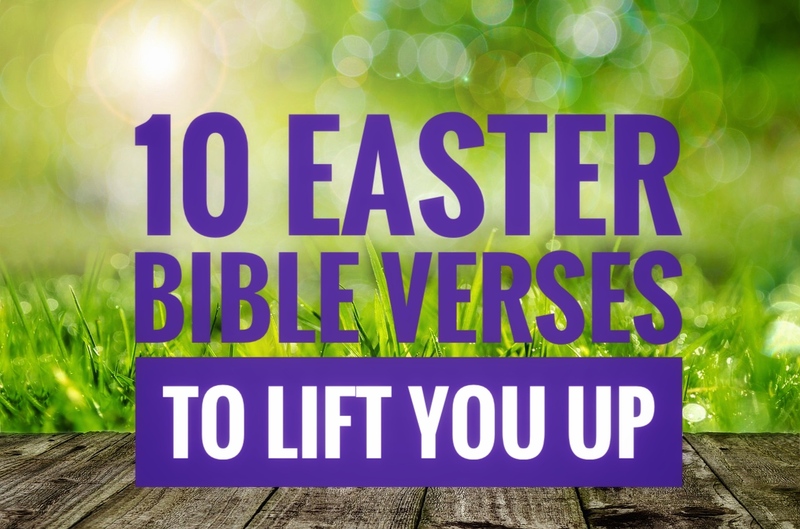 As Easter approaches, let these Bible verses open your heart and lift your eyes. "But as for me, I know that my Redeemer lives, and he will stand upon the earth at last." "But he was pierced for our rebellion, crushed for our sins. He was beaten so we could be whole. He was whipped so we could be healed." "He will swallow up death forever! The Sovereign Lord will wipe away all tears. He will remove forever all insults and mockery against his land and people. The Lord has spoken! "But those who die in the Lord will live: their bodies will rise again! Those who sleep in the earth will rise up and sing for joy! For your life-giving light will fall like dew on your people in the place of the dead!" "You killed the author of life, but God raised him from the dead. And we are witnesses of this fact!" "...but the angel said, "Don't be alarmed. You are looking for Jesus of Nazareth, who was crucified. He isn't here! He is risen from the dead! Look, this is where they laid his body!" "Why are you frightened? he asked. Why are your hearts filled with doubt? Look at my hands. Look at my feet. You can see that it's really me..."
"...Christ died for our sins, just as the Scriptures said. He was buried, and he was raised from the dead on the third day, just as the Scriptures said. He was seen by Peter and then by the Twelve. After that, he was seen by more than 500 of his followers at one time..."
"I want to know Christ and experience the mighty power that raised him from the dead. I want to suffer with him, sharing in his death, so that one way or another I will experience the resurrection from the dead!" "And God will raise us from the dead by his power, just as he raised our Lord from the dead." Well, there you have it, folks - scripture to swell your soul. Indulge in it and watch what happens!